One of our team will contact you on IMVU to make sure its really you wanting to join. You can also drop an IMVU IM to Keef when you make an account to speed up the Verification process. DO NOT use the same password here as you do on IMVU! While this forum’s user data is encrypted it is always best to keep that password unique to IMVU. Do not share passwords across sites. Once approved you can sign in and click on your name in the upper right and set yourself up. The avatars here are set to be the same as your IMVU one to make that easy for you. You can also add a signature. As of 3/21/17 Registration is no longer open. Malicious Spam has become a real and regular thing. All new accounts will be verified though IMVU before they can post. Treat All With Respect. Disagreements will come up but that can be done respectfully and without personal attacks, this includes out and out ripping of IMVU and its Staff. Yes we all love to hate em at times but we’re all still here so it has to have something going for it. Keep the blows to the topic at hand and not the people involved. We need to be bigger that that here. 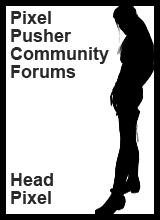 Feel Free to post your questions to the relevant forum thread, if no relevant thread exists you may make a new thread to ask your question. All New threads need to have clear and descriptive topics. Vague Confusing or Misleading topics will be edited to be more clear. These Forums Actually Work! so moving threads, splitting threads, merging threads is a thing so don’t worry about new users making new redundant threads, we can fix it without making them feel that they have done anything wrong! Topic Locks will be a very rare thing. Mostly reserved to Info Only posts like this one. Keep to the Etiquette Guides above and Post Moderation will also be a very rare thing. Keep your language and subject matter suitable for those 13 and up. Linking to AP Products is fine so long as they will need an AP to see them on the other end. No posting about hacks, software piracy, system work arounds and the like. These rules will be amended at my whim. Don’t make me have to do it!